Teja is one of the 425 young women and men called ‘Yatris’ selected from 40,000 applicants from India and abroad. Khammam: A B Tech graduate from Khammam, Deeti Sree Teja, is in the process of forming a group of young entrepreneurs towards creation of start-ups in the district. The group called Jagriti Ambassadors for District Entrepreneurs (JADE) has been formed to promote social entrepreneurship. It is one of the few ideas put forward as part of annual Jagriti Yatra, stated to be the ‘Journey of social awakening among youngsters’. Teja is one of the 425 young women and men called ‘Yatris’ selected from 40,000 applicants from India and abroad. The journey in a special train began on December 24 last and concluded on Jan 8, 2019, in Mumbai. It was organised by Jagriti Sewa Sansthan aimed at building India through enterprise. 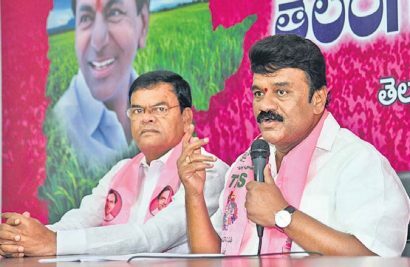 He shared his experiences of the yatra with Telangana Today after returning from the tour. 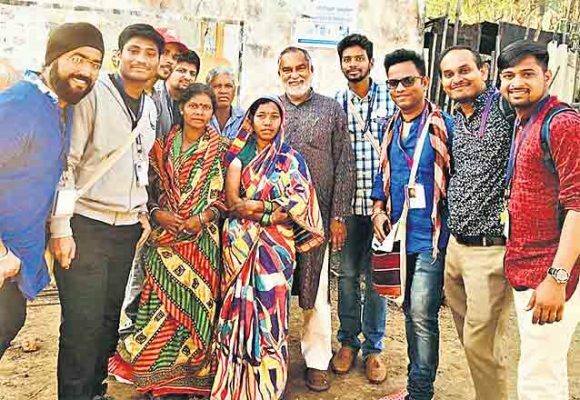 ‘The 15-day journey across 12 destinations in India has been a great learning experience and offered valuable insights into entrepreneurship with social impact’, he felt. As part of JADE, the yatra participant has to form group of 30 youngsters with zeal to contribute for the society. The members have to collectively or individually come up with start-up ideas which can be implemented locally or at any other place. “Jagriti Yatra aims to offer employment to 10 lakh persons by 2020 involving NGOs, start-ups at grassroots level. With the experience and knowledge gained during the yatra I wish to contribute my part to the task” he explained. 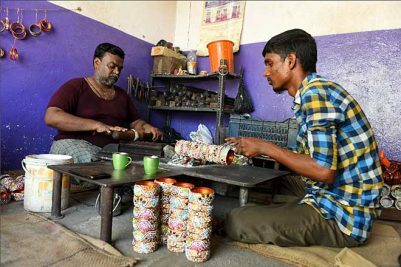 Teja, who is the founder and president of Khammam Youth Association (KYA), said his group of yatris comprised 23 members. They won first prize of Rs 50,000 for a start-up idea proposed in water, sanitation and hygiene (WASH) category. ‘During a panel discussion on enterprise at Deoria in UP we created a bathroom sensor that can be used in rural areas and if we singly or collectively are willing to begin a start-up, the Samsthan will support us with that funding’ he informed. ‘We visited Sricity at Tada and Akshaya Patra Foundation in AP, noted NGOs Gram Vikas at Ganjam in Odisha, Barefoot College at Tilonia in Rajasthan, Aravind Eye Hospital in Madurai in Tamil Nadu and interacted with many persons who impacted society with their work’. “At every place, we learnt how we can impact the lives of others with enterprise, social start-ups. Intending to continue my association with the yatra I have expressed interest to be Engine Room Club (ERC), which looks after background work in organising the yatra” Teja added.